Michael Nimon is a land-use economist and has been with EPS since 2006. 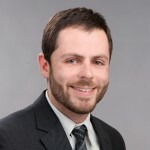 He specializes in financial feasibility analysis and economics of real estate development, public finance, and public private partnerships and has extensive consulting experience in the areas of market analysis, fiscal and economic impact analysis, major site reuse, real estate transaction structuring, and negotiations support. Prior to joining EPS, Michael was a financial analyst with Grubb & Ellis in the investment sales division. Michael has a Master’s in Urban and Regional Planning degree and a Master’s in Business Administration in Real Estate at Florida State University. He also holds a Bachelor’s of Science degree in Economics/Management Science from the University of California, San Diego. Michael is a member of the Urban Land Institute and is on the board of directors for Diablo Hills Home Owner Association. He lives in Walnut Creek with his family and practices Brazilian Jiu Jitsu and surfing in his free time.